Charming basic 2 star hotel. Easy access from motorway. Great Pizza restaurant opposite. Friendly helpful staff. Clean and Comfortable . Good value for money. I have visited logis de France properties over many years and they are old buildings with character. New and luxurious they are not but the discerning traveller would certainly appreciate this one. They are 2* accommodation with character and the owner is certainly a personality extraordinaire. . Worth every penny for his efforts and this is what makes this property a treat. However it's not for those who expect Premier Inn type accommodation. Younger backpackers would appreciate it too. Lovely village and pizzeria opposite. Would certainly return. Was there for a wedding at the Chateau Domaine de Montoussin and the distance if you use motorway is about 30 mins. The location happened to be convenient for us and there are few/no other hotels nearby. The staff were accommodating, to the extent possible. Philippe the manager is super friendly & helpful. Petit déjeuner tout a fait moyen. Pas de chauffage le soir, impossibilité de prendre une douche. Chauffage le matin, mais pas de douche, car la douchette est bloquée par du vert de gris. Il faut s'arc-bouter pour ouvrir les volets, dont une attache traine sur le rebord de fenêtre. En l'état, a déconseillé. Le silence du quartier, le petit déjeuné compris dans le tarif, le parking. The hotel is ideally located in a haven of greenery far from the noise and yet with a convenient access from the motorway and only 20 minutes from Toulouse. Rooms at Logis Hotel l'Arche de Noé are comfortable and each has its own individual style. Savor regional specialties in the relaxed atmosphere of the hotels restaurant. The hotel is an ideal starting point for splendid walks through beautiful countryside, and visit of delightful villages. 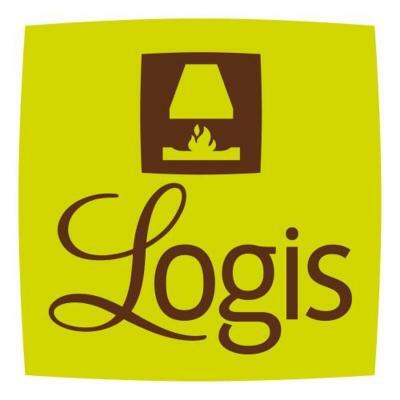 When would you like to stay at Logis Hôtel L'Arche de Noé? House Rules Logis Hôtel L'Arche de Noé takes special requests – add in the next step! Logis Hôtel L&#39;Arche de Noé accepts these cards and reserves the right to temporarily hold an amount prior to arrival. Logis Hôtel L'Arche de Noé accepts these cards and reserves the right to temporarily hold an amount prior to arrival. Think it would be unfair to criticise this logis de France as we don't have the equivalent in England. The place may be in need of decoration in parts but has character and genuine care for the guests. In this day and age this is priceless. The noisy town fair going on right next door till 1 am. No aircon. poorly designed shower (curtain allowed leakage round the sides). Musty smell in the corridor. Local clock tower sounded the hour - twice! - all night long. Hotel is running downhill. Door locked on my arrival with phone number to ring inside 10 mins wait to be admitted after standing in hot sun with bicycle. Poor shower.